On July 21, Verizon workers represented by the Communications Workers of America (CWA) and the International Brotherhood of Electrical Workers (IBEW) announced a tentative agreement on a four year extension of the current contract, which was set to expire in August 2019. The deal builds on significant gains won by Verizon workers as a result of their 49-day strike in 2016, providing for additional wage increases and enhanced retirement benefits. The agreement, which extends the contract through August 5, 2023, will deliver an 11.2% wage increase over the additional four years and covers over 34,000 Verizon workers, including call center workers, and central office and field technicians represented by CWA and the IBEW. "This agreement ensures a better future and good, family-supporting jobs for thousands of Verizon workers," said CWA District 1 Vice President Dennis Trainor. "Since the end of the 2016 strike, we have seen a marked improvement in the relationship between CWA and Verizon, and this agreement reflects the more constructive relationship that has developed since then." A separate agreement was reached covering 40 Verizon Wireless retail workers in Brooklyn, as well as 7 workers in Hazleton, PA, who voted just last week to join CWA. That agreement provides for a $900 signing bonus for Brooklyn Wireless employees, creates a first-ever floor for the merit pay pool, creates a new Labor-Management committee to address further improvements in scheduling, and strengthens the grievance procedure. 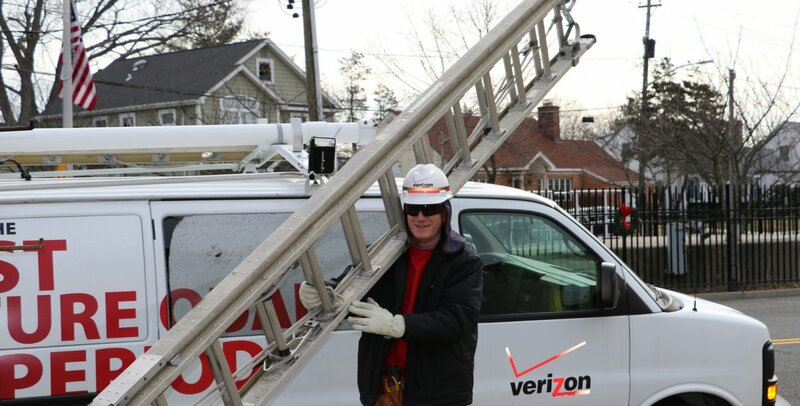 About 90 Verizon Wireless technicians will receive the 11.2% compounded wage increases over the term of the extension and will have improved language regarding transfers by seniority.